Dr. Hodgson, a native Oregonian and second-generation otolaryngologist, received his Bachelors degree in Biology from Oregon State University in 1979. He then attended Oregon Health Sciences University to receive his M.D. in 1983. He completed a general surgery internship at Michigan State, then returned for residency training at OHSU which he completed in 1988. In 1989, he received sub-specialty fellowship training in otology, neurotology and skull base surgery with the Portland Ear Medical Group. 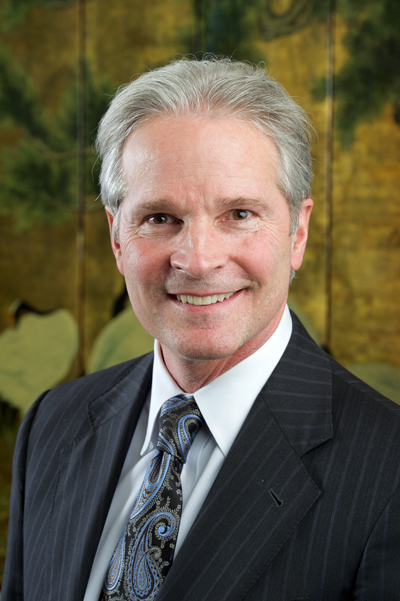 Dr. Hodgson has been in private practice as a Neurotologist since 1989. As such, he limits his practice to the diagnosis and management of disorders that affect the ear, its surrounding structures, and their relationship to the brain. This includes medical and surgical treatments for disorders affecting hearing and balance, facial paralysis, management of chronic ear disease, infections and tumor growths of the skull base. In keeping with state of the art care,Dr. Hodgson is also trained in implantable hearing technologies such as cochlear implants, bone conduction implants (Baha®) and middle ear implants, including The Esteem. His office also offers full service hearing aid fittings by a licensed and certified audiologist. Dr. Hodgson is board certified with the American Board of Otolaryngology. His professional society memberships include the American Academy of Otolaryngology/Head & Neck Surgery, the American Medical Association, the Oregon Medical Association and the Medical Society of Metropolitan Portland. He has been the otologist for the craniofacial disorders clinic at Randall Children's Hospital at Legacy Emanuel since its inception in 1995. This is a volunteer position serving children with cleft lip and palate, as well as other genetic disorders involving the head and neck. In his free time, Dr. Hodgson enjoys a variety of activities with his wife, two sons and Golden Retriever. Current interests include running, weight training, skiing, reading, travel and the occasional jigsaw puzzle.